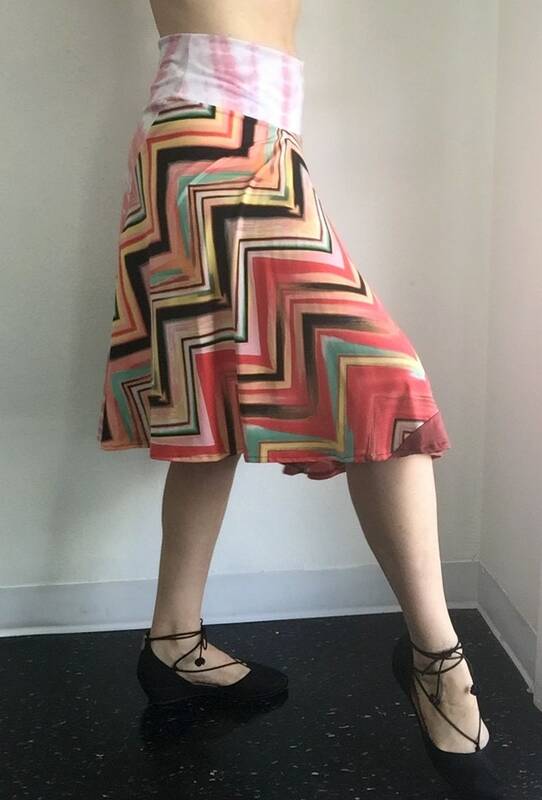 High waisted patchwork circle skirt - one of kind and so fun to wear! Using an intention of zero waste, this skirt's textile is made from left over scraps to create new yardage. Nothing goes unused! Combination of cotton knit and ITY knit, the waist band can be worn high or folded down over itself for a different silhouette. Size medium/large - fits a US size 8-12. Model is 5'10" and wears a US 8. Drop from belly button is 26".